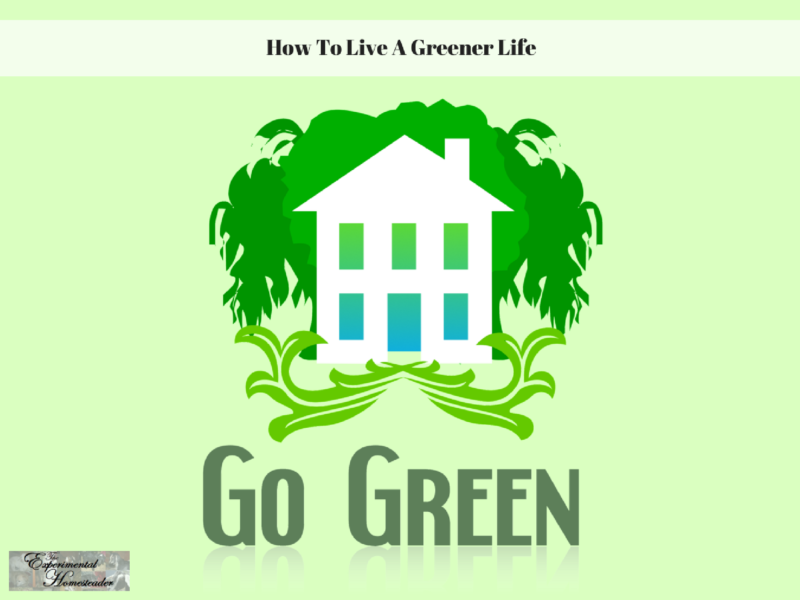 Living green is not something that comes naturally to many people but they still often want to know what they can do to have a greener lifestyle. When it comes down to it, what each person does every day is what makes a cumulative difference. Here are fifteen easy-to-implement tips on how to live a greener life as well as links to products I recommend from companies I have a referral relationship with. I will be compensated if you make a purchase after clicking on my links. When you wash dishes, turn off the water while you scrub the dishes. Put dirty dishes into a sink or dishpan full of hot, soapy water, scrub them, then dip them into a sink or tub of hot rinse water. If you are concerned about germs, boil a couple of cups of water in the microwave and pour the hot water over the rinsed dishes to sterilize them. Rinsing your dishes with hot water is a great way to sterilize them however some people run out of hot water before their dishes are done. I have found that as long as I keep my dishes washed daily the rinse water stays hot long enough for me to rinse them off. Don’t flush the toilet every time you use it. Liquid waste does not have to be flushed away each time. Every flush uses about 1.6 gallons of water. So each time you refrain from flushing, you’re saving 1.6 gallons. That can add up over the course of the month. Of course this is not practical for some – and if you do this be sure to pay attention to the amount of toilet paper you are using so you do not end up causing the toilet to overflow when you do flush it. There are special poop sprays designed to keep the smell from the toilet contained. Turn lights off when you leave a room. For those who have young children or who are forgetful there are motion sensor light switches you can use that automatically turn the lights on when they sense motion, keep them on while they sense motion but turn off automatically after a few minutes of no motion. A drawback is if you are still in the room but not close enough for the switch to detect you, it will turn off. I have started using battery operated motion detection lights in most rooms of my home so I do not need to always turn on an overhead light. Use LED light bulbs instead of incandescent bulbs. These really do cut down on your energy use. Don’t forget outdoor lighting. Use energy-efficient floodlights if you have them, and use solar lights for your yard, steps and driveway. Eat local food whenever you can. Local food means the food travels fewer miles to get to your plate or store. Fewer miles mean fewer emissions and less fossil fuel. Grow your food yourself if you can, this is about as local as it gets. Organic food is preferable to conventionally-grown food. Organic food is grown in a sustainable manner, making it a much greener choice. Again, I encourage you to grow as much of your own food as you can – and instead of using fertilizers, use your own compost. Support local businesses. Once again, imported items use a lot of fuel. Try to buy whatever you can from local producers, craftspeople, etc. Not only are you going to get a quality item but you are going to know you are helping people who live and work in your local community. Streamline your recycling. Most of us recycle, but you may not be recycling everything you could be. Effective recycling goes beyond just glass, plastic, paper and metal. For example, don’t toss out old electronics. See if they can be donated, refurbished, or recycled. Old appliances can be donated to a second-hand store and often they pay for them. Use rechargeable batteries instead of disposable ones. Yes, you must use electricity or a solar charger to recharge those batteries but you get more usage for your money and less trash goes into the landfill. Augment your household heat with space heaters, electric blankets or other types of energy-efficient heating. Install solar panels to help heat your home if possible. Install a programmable thermostat. It is much more precise regarding temperature setting, and you don’t have to worry about forgetting to turn the heating down when you leave the house or go to bed. Choose one that works with your smart phone if possible for even more control. Install curtains and blinds that you can open to let the sunshine in on cold, sunny days. Then close them at night to keep cold air out. Insulate your home and use weather stripping on your doors and windows. Use plastic on your windows but instead of throwing it away every year, save it to re-use. Be sure to mark on it what window it goes on. Carpool, ride a bike or take public transport to work or school whenever you can. Consider carpooling with your neighbors or family for errand running. Use fans and open windows instead of air conditioning whenever possible.